Note: all cloth is sold by the linear yard and never by the square yard. 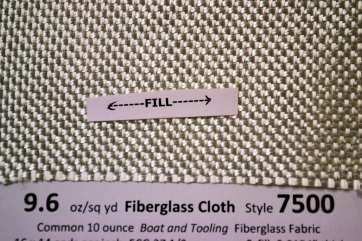 7500 is the 10 ounce boat and tooling cloth people use when they need some soft flexible tooling cloth. As a model builder you can use this in the final layers of your molds. Soft and easy to wet out. 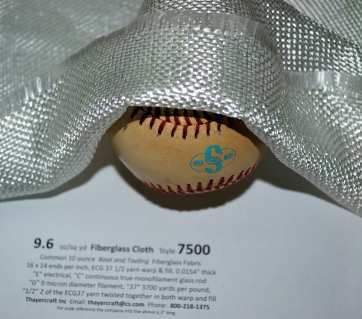 Some of the edges are cut instead of the selvedge edge though so you might have to deal with some strays on the side as you pull it out. When we re roll we do very neatly and trim pull the strands off but you may have some to wander off as you're working with it. 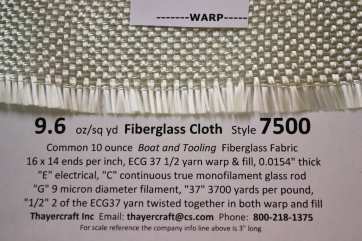 I think the weaver takes a 60" roll and cuts it in thirds so 2/3 of it will have one selvedge edge and 1/3 of the rolls will be both cut. 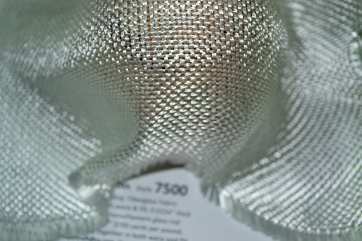 Other than that this cloth is perfect and some wonderful cloth for mold making. All rolls are rolled on 2" pvc and sealed in plastic. Shipping same or next day.